Note how my left temple areas have not grown in as well as my right side. (sorry for the white glistening things in the pics. They are photo distortions, not dandruff or glitter). Can you make it smaller please? It’s difficult to see when you have to scroll left and right. Too big. As far as I can tell, your hairline looks very good. I don’t see much of a difference from left to right, but if you say it is there, I will take your word for it. Yet another excellent result from Dr. Armani! Now the pics fit the screen. » Note how my left temple areas have not grown in as well as my right side. » distortions, not dandruff or glitter). Mike any before pics? Man you have thick hair! thank you. i feel very complimented from your comments. For the sake of accuracy, though, the pic is a little dark, which gives the appearance of more thickness. Also, I do have some thinning in my mid scalp area (armani fixed that though- at least for now). I’ll post some before pics for you, though I know if you do a search for “michael_77” (in the archived site, i think), you’ll find some of my before pics. This is the link to your journal. You may want to include this link in your forum SIGNATURE, this way people can refer to your before pics easily. I will update your journal shortly with the new pics you just posted. Just so everyone knows, these before pics are not from the last procedure, but from the procedure before the last procedure. I have other post op pics which have resulted in the 7mo post op pics which I have posted at at the top of this string…i’ll try to find them when I get a chance. p.s. The gross fro I grew out was in anticipation of ‘combing over’ and hiding the shaved recipent front after that procedure. Yuck. Wowser. Now that’s a hair-don’t, Mr. Garfunkel. IMO, the grafts grew extremely well and I like the hairline design. If I was going to be picky, I’d say the hairline could use a little “softening”. Luckily, you have very course hair and an abrupt hairline looks pretty natural on you. 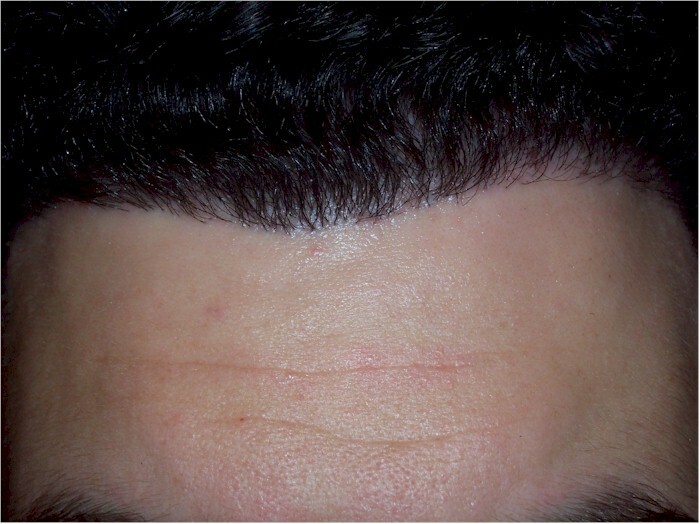 However, I believe many Armani hairlines look too abrupt. Most folks would never spot this as a HT, but to us fanatics, maybe it looks a little too… “harsh”? But, that being said, the grafts grew well and the patient should be very happy with his result. OK I am sure that is just me since nobody said anything, personally I feel that the hairline is too straight. I would be happy with a lot less hair, well I am a lot older than you so it’s not fair to compare like that, as long as you are happy, that’s the most important. Looking through the forum history it looks like you had your transplant on 9/13 of last year. That would make these pics 12 months post-op not 7 months…Is this correct? Also, do you have any pictures at different stages…3,6,9 month ? Im sorry but i dont think it looks natural at all. it may look better in person as photo’s dont always show the true picture. I think that it is appropriate for his hair characteristics (color, caliber) and the apparent shape of his pre-existing hairline. had anything done…I’m almost 3 months post op from Armani and i def look better than i did before the surgery…My temples are just starting to sprout and grow in. I think I will submit my pictures soon after I speak to Shane and Dr. Armani. » caliber) and the apparent shape of his pre-existing hairline. Yeah it pretty much follows the same shape as his orginal hairline, just much lower. 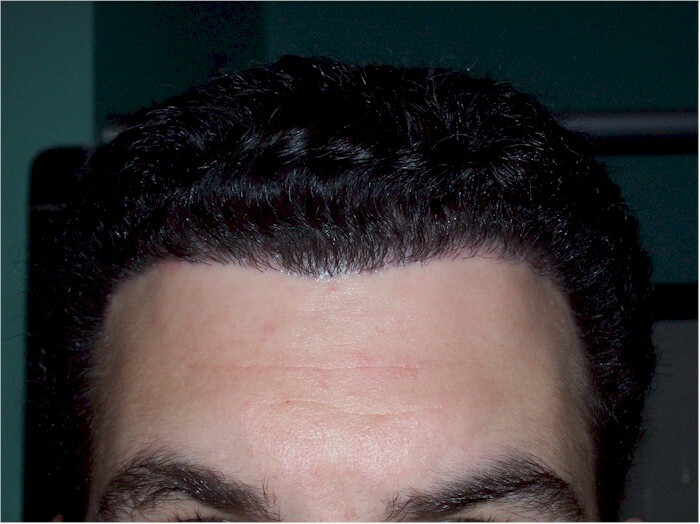 his hair is the thickest and coarser hair i have ever seen lol.I think its a good transplant result and you mind find it a little weird but these thick donor hairs transplanted, will look like that, there is no way of softening it.Its a transplant and for the nature of translants this is fine. 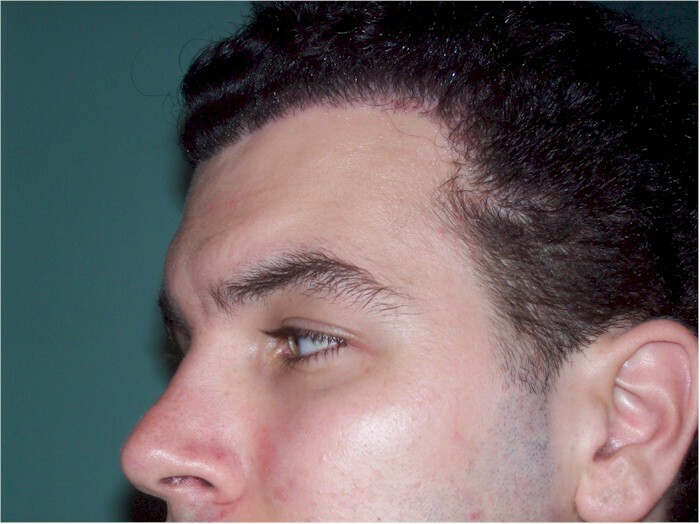 Nape hair and/or BHT can soften a hairline nicely. The pics I have posted are from the 7 months from my surgery in Feb 2007. But Yes, I am also 12 mos from my september 2006 surgery, however those pics did not fill the temple angles like my Feb 200 surgery. 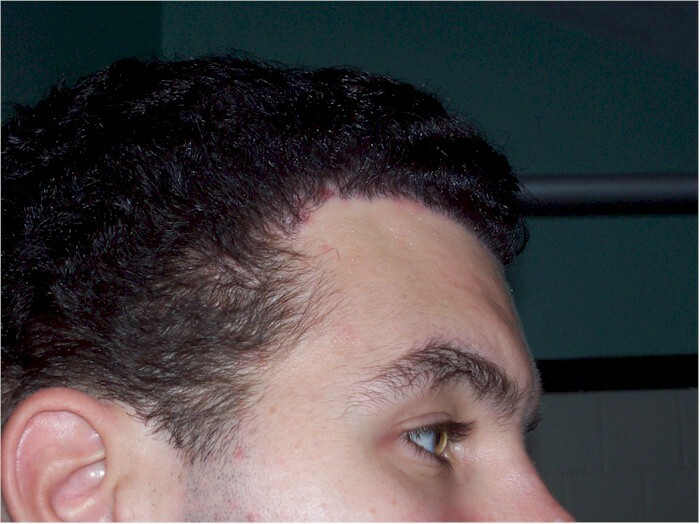 The immediatly post-op pics which hairsite posted are from the surgery just after my september 2006 surgery, not post-op from my feb 2007 surgery. » 9/13 of last year. » Also, do you have any pictures at different stages…3,6,9 month ?